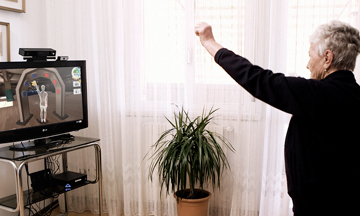 Virtualrehab is a pioneering CE marked rehabilitation platform that helps augment traditional therapy. It enhances the process of motor rehabilitation by making therapy engaging and accessible. We help persons of all levels of disability to have rehabilitation both in clinics and at home through game-like task-specific activities. Developed in conjunction with leading neurologists, therapists and researchers, VirtualRehab has been translated into various languages and has been used in over 100 rehabilitation centres in 20 countries and by thousands of patients. Our solution allows the tracking of functional gains through remote assessments and telemonitoring, ensuring that quality of care is always maintained. VirtualRehab tackles the two main impediments to successful motor recovery: Access to rehabilitation and adherence to therapy. Helping to improve adherence and patient outcomes. 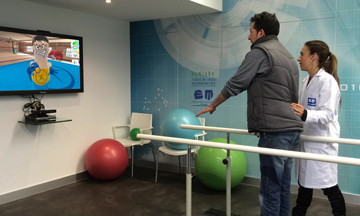 VirtualRehab body is a suite of therapy modules for upper and lower extremity rehabilitation. It is used across the world, within in-patient, out-patient and home settings. 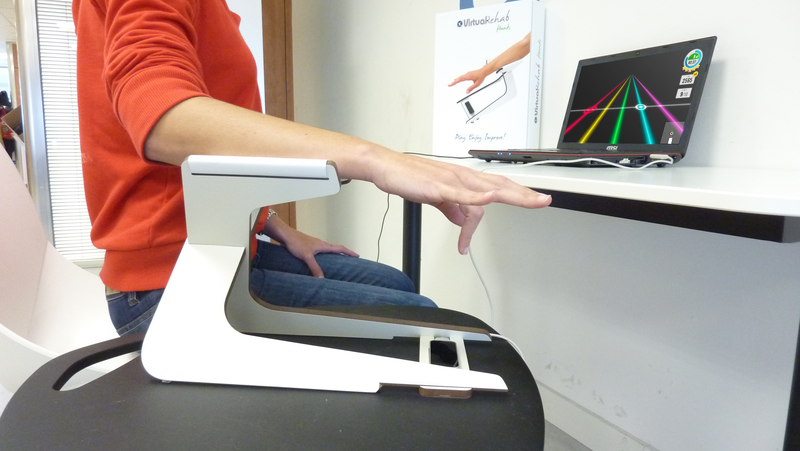 VirtualRehab Hands enables mass practice of fine motor skills through a novel approach to training dexterity, range of motion and muscle strength for fine motor rehabilitation. A suite of interactive games that have been designed to train different cognitive functions, including: memory, problem solving, focus, mental agility and language skills. 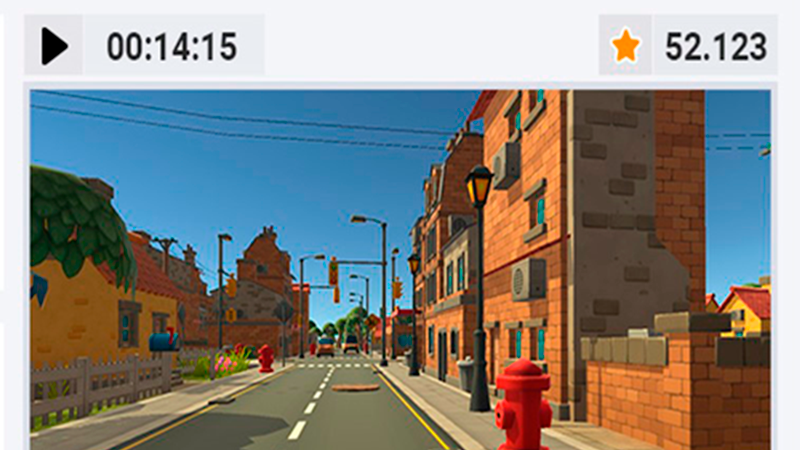 An immersive VirtualReality application that provides executive function training based on Activities of Daily Living performed in a highly realisticyet safe immersive environment. A unique digital tool for treating hemianopsia in the form of a Virtual Reality driving game which stimulates the patient through the use of visual cues that help promote oculomotor compensation. VirtualRehab can be used in hospitals, clinics and care facilities of all sizes and levels of infrastructure. It is also an excellent means for providing low cost therapy in care facilities for the elderly. 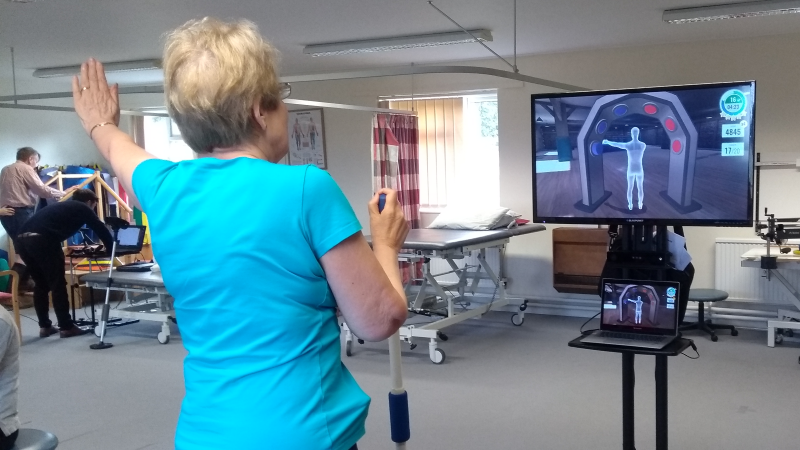 VirtualRehab is also employed in patients’ homes through our telerehabilitation service, which allows for continued rehabilitation treatment at patients own leisure and helps foster adherence and improved patient outcomes. 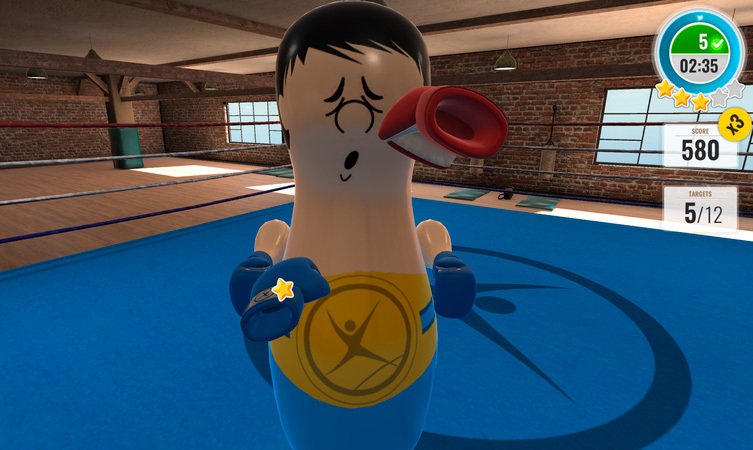 VirtualRehab has been designed to increase the dose of task orientated training and is useful in the rehabilitation of different types of Acquired and Traumatic Brain injuries. It also increases access to engaging repetitive exercise for musculoskeletal patients following injury or orthopedics surgery, helping to rebuild range of motion and strength. 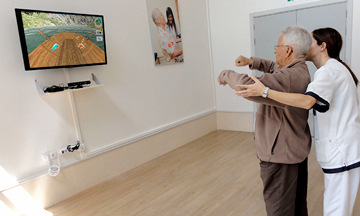 VirtualRehab is also ideal for geriatrics care to help train balance, coordination, flexibility and stamina in a safe yet engaging manner in care facilities as well as at home. VirtualRehab was the very first virtual rehabilitation software to be classified as a CE marked medical device (Class 1) in 2014 and conforms to the regulatory system of EU´s Medical Device Directives. Evolv is a certified medical device manufacturer and assures all its products conform to the regulatory system of the EU´s Medical Device Directives. on the Hospital Anxiety and depression Scale. Dynamic Balance on Tinetti Scale. Data taken from 4-month trial with 20 MS patients featuring 2 weekly VirtualRehab Body therapy sessions. Murie-Fernandez, M. (2014). 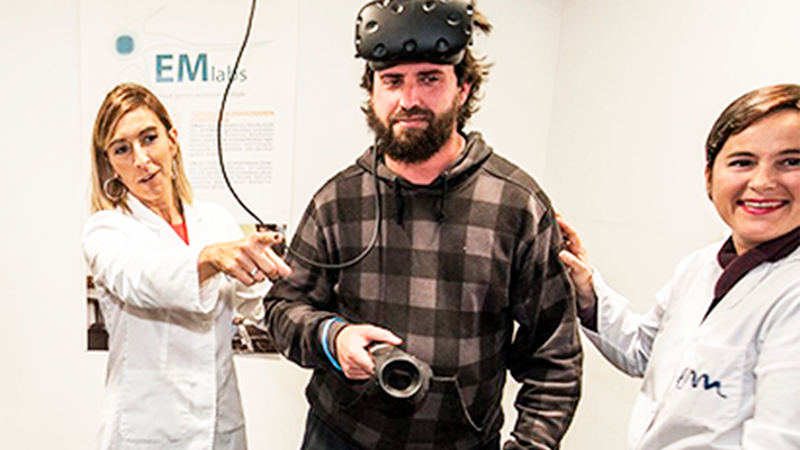 "Use of Virtual Reality for physical rehabilitation in Multiple sclerosis as an adjunct to traditional therapy”. Presented at the 8th World Congress for Neurorehabilitation, Turkey. 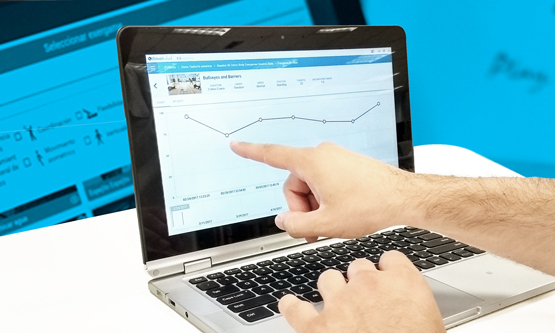 VirtualRehab includes a simple-to-use manager that is used to set up patient profiles and sessions, customise different VirtualRehab activities to match each patient’s specific requirements, track patient results and review in-depth visual analytics. The therapy sessions’ results are automatically saved - either online or locally - providing detailed analysis and reports. Therapists use the Manager to remotely monitor their patients’ performance, either in clinical settings or in the home. The telerehabilitation system has a direct impact on the service capacity of facilities using VirtualRehab. Traditional rehabilitation sessions are reduced, and more patients can be treated reducing of waiting lists and travel costs. Patients are more likely to follow prescribed treatments due to the entertaining and fun features of the games, and to the fact that the specialists supervise and track all therapy sessions completed by patients. Includes an easy to use therapy editor that allows therapists to customize therapy sessions taking into account each patient’s particular needs. All session performance data is stored for tracking patient progress and reimbursement purposes. 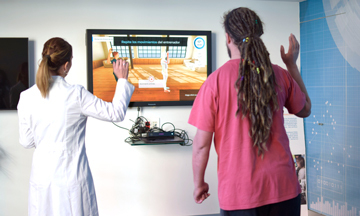 In only a few minutes, VirtualRehab turns patients of all ability levels into videogame stars thanks to our intuitive natural user interface and the use of off-the-shelf motion capture technology sensors. 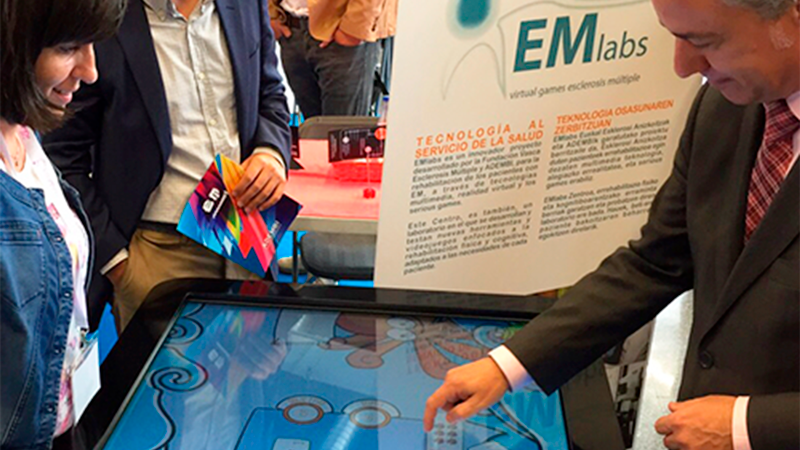 The virtual therapy activities prescribed by therapists implement videogame technology combining entertaining and competitive features helping to make repetitive task-based activities enjoyable. Telerehabilitation allows patients to complete tailored therapy programs always with the objective remote monitoring supervision of a therapist, meaning less time travelling and more time receiving therapy.